Learn the different light bulb types and which ones that will complement your interior space and exterior. We will talk about the different types of light bulbs from LED to incandescent and the best places to put them in your home. 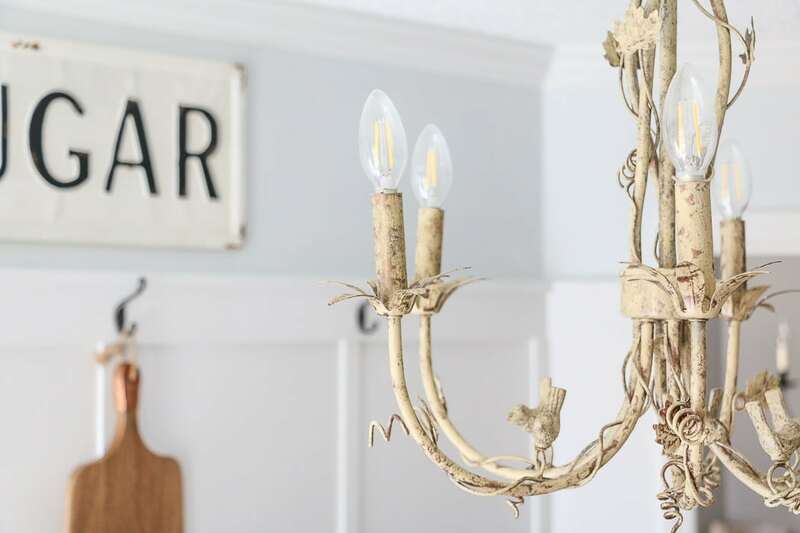 There are many different light bulb types until it can be confusing so let’s jump right in and discuss what options are available. First let’s make a list of the different types of bulbs. Okay so there are more but typically these are the different types of light bulbs we use in our homes. 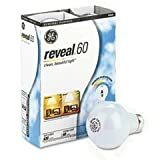 I want to start with an LED for a reason. LED stands for light emitting diode. LED has been around for a long time and first appeared inside calculators. Remember that light inside the calculator? Well, after lots of research they perfected it and made it more affordable for people to use in their home. I like LED because it is a great filler light like fluorescent and has a clear fresh appearance if you go with 3000 to 3200. LED is a more neutral light not to warm and not to blue. 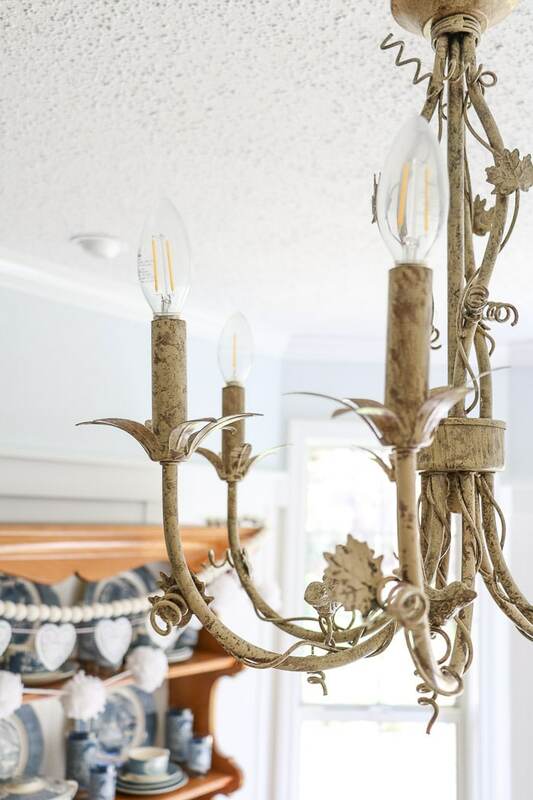 Leslie at Deeply Southern Home uses this LED in many places of her home if you want to see an example. 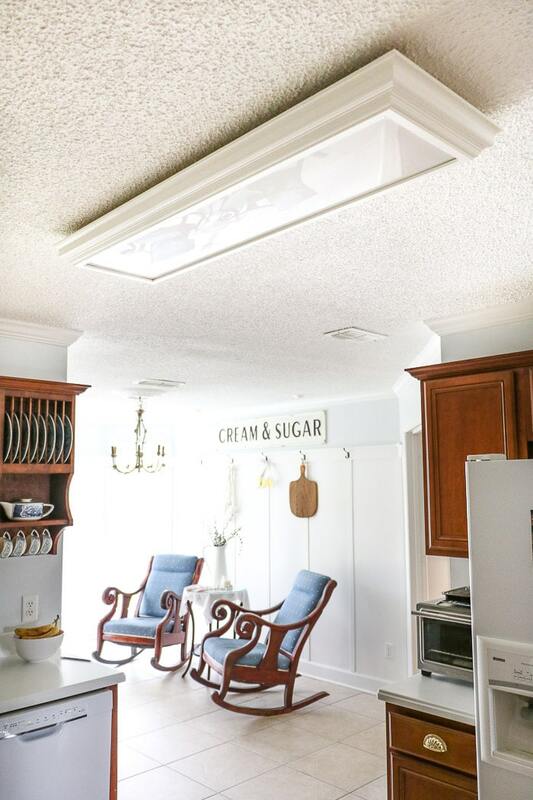 She replaced all your recess lighting with LED and what a difference it has made in her home. I would recommend using an LED anywhere in your home. A few of my favorite places are the bathroom. And in my chandelier in the sitting or reading area off of the kitchen. The LED life span can be up to 50,000 hours. Now let me put that into perspective for you. If an LED ran for 12 hour days, it would last around 11 years. LED is my new favorite. I am gradually changing all my lights to LED mainly because they are pretty expensive but well worth the money over time. And one other note about LED. They work nicely in the newer enclosed fans like ours in our bedroom. 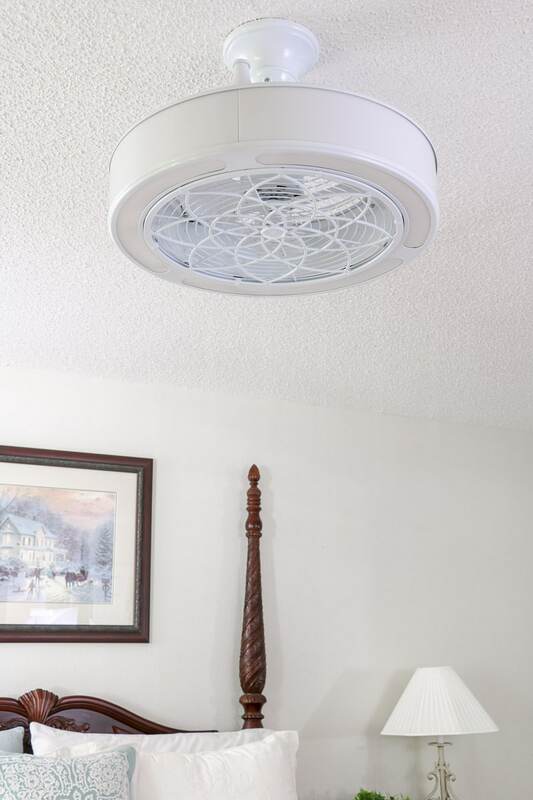 This enclosed fan and light are amazing! The LED light is fantastic for this room. Incandescent is the most commonly used light right now, but I think that is slowing changing. 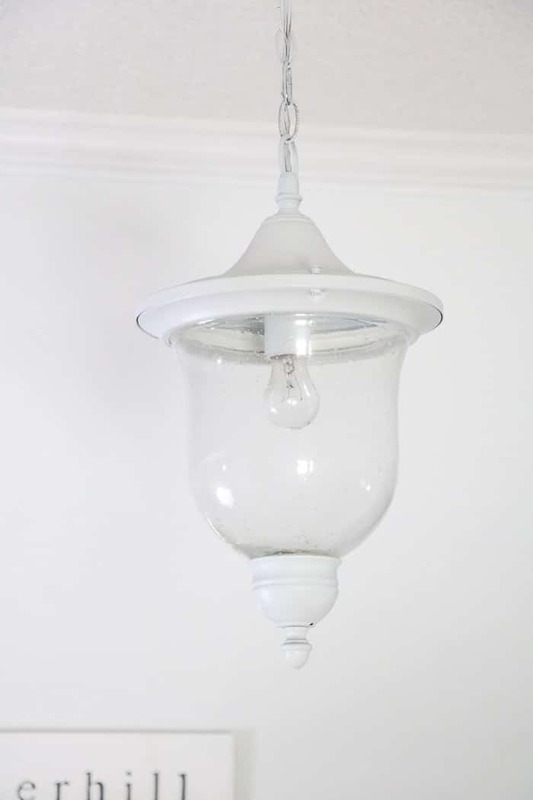 I still have any incandescent bulbs throughout our home like in our foyer. And I have one in our laundry room for now, but that will change soon. Incandescent bulbs case a more yellow glow which makes your skin look nice. However, they do not last as long. An incandescent bulbs life span is about 1,000 to 2,000 hours. Can you believe how short their life is compared to LED? WOW! They are cheaper to purchase but if you add up the hours and such you will see that the LED is less expensive in the long run. And LED saves on your electricity cost. 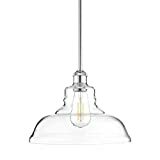 You can use the incandescent in any room of your home from bathrooms to kitchen to exterior. Now let’s chat about fluorescent. Fluorescent bulbs are cool to the touch which mean they do not emit heat and they are energy saving. You will find fluorescent in the office mostly, but many people have them in their kitchen as we have in our home. They are great a filling up space and are perfect for reading and working. Fluorescent bulbs last about 30,000 to 36,000 hours. See why they are so useful in offices. That means less changing light bulbs, saving energy and cost. I would not recommend fluorescent bulbs in your home because they are generally not very flattering. They bring out more blue tones in your skin and make people look more tired. But there is a fluorescent that is better for your residence. I remember a time when people were all about changing their lighting to compact fluorescent. This little mini versions of the long fluorescent tube you see in an office building have similar qualities as an LED. They last around 10,000 hours which is much better than incandescent but not as good as LED. You can get them in color options. What I mean by that is they come in warm, natural and so on. One disadvantage to compact fluorescent is they are not dimmable so if you have a dimmer looks at other options. You can use compact fluorescent anywhere in your home. 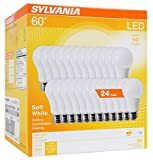 They are cheaper than the LED, but if you are looking for a light that will make your home shine, then I would not recommend compact fluorescent. So one of the more fun bulbs that people are enjoying is the Edison bulb. In case you are wondering where the name Edison bulb came from here is a little history lesson. 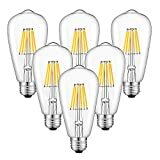 Carbon filament bulbs were the first bulbs to hit the market in 1882. Our Edison bulb today has striking similarities to the first carbon filament bulb. These Edison beauties have become very popular today. Restaurants and home were wanting a light that produced a mood for a vintage vibe, and the Edison bulb filled the bill. 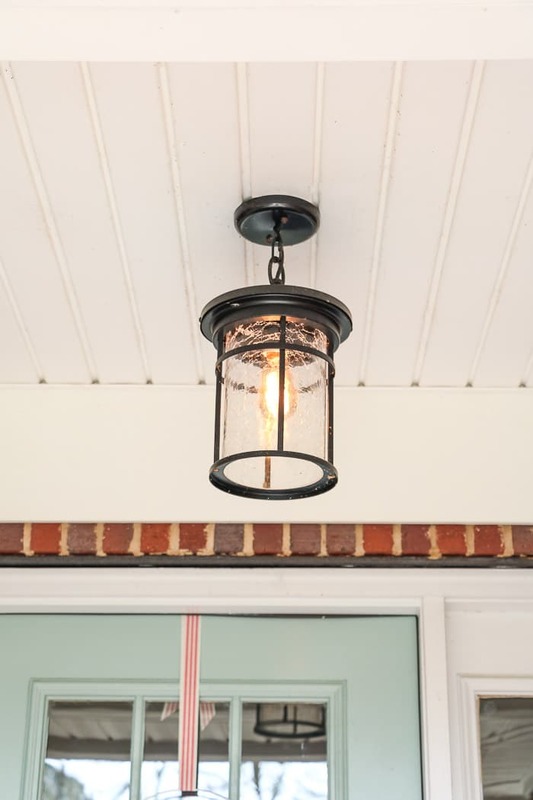 The last time I saw a real carbon filament bulb was on a screened in porch across the street from my parents’ house. I had been there for so long until it barely produced any light, but it was fascinating to see one still in action. For the most part, these bulbs come in fun shapes and are used for mood lighting or to create a theme or vibe. 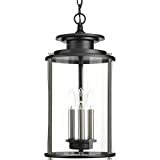 You can use them on porch lamps, as I have on our porch, to replicate an old gaslight. They look nice in lamps for show only. Edison lights are not great for reading. As far as how long they will last well they have a life span of 15,000 hours. Are you surprised? I was because I thought with it casting such a low luster it would last longer. I recommend the Edison bulb for a more mood light and not for use with reading or illuminating a room. Many years ago everyone was converting to halogen bulbs. The halogen light bulb puts out great light, but they can radiate heat. It is important to consider where you are putting a halogen if you plan to try one. As far as life span they last a very long time. They are derived from an incandescent but produce a halogen gas that helps with longevity. However, they last a long time but not as long as the LED. I do not have any halogen in my home. 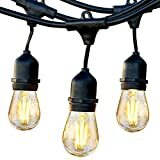 I used to have them in my chandelier in the dining room, but I have changed them to a longer lasting LED. Well, there you have it. A little information about the main light bulb types we have today. 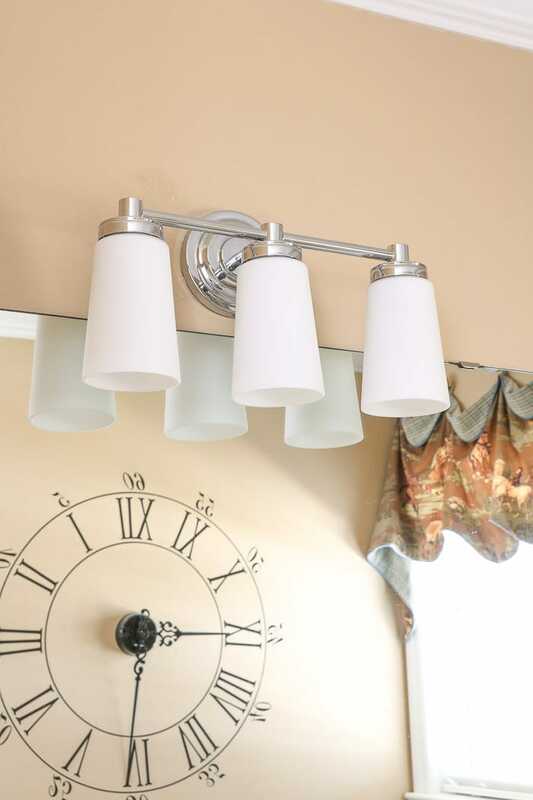 All the pictures in this post are light options in my home. There is only one light fixture that I plan to change and that is the fluorescent in my kitchen. As much as I like how it fills up the room, I don’t care for the humming sound or the lack of lovely illumination. 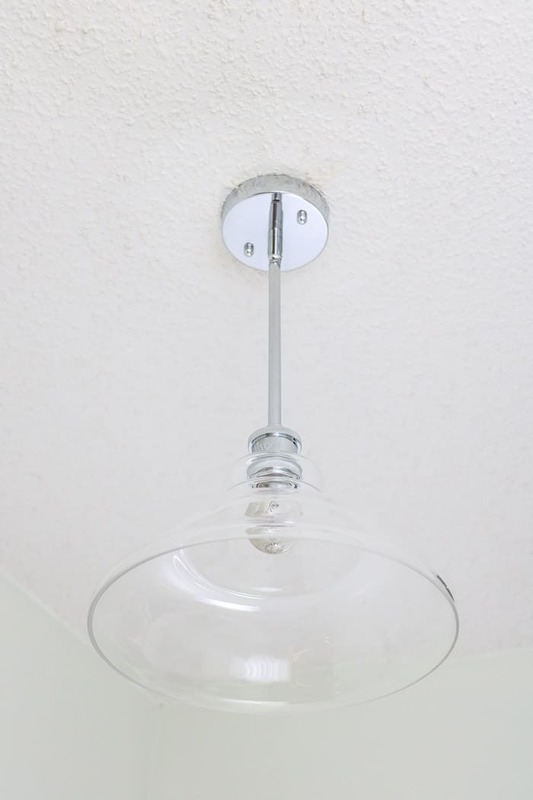 If you are looking for more information about lighting check out my how to change a ceiling light bulb post, and don’t trash those old incandescent light bulbs because we have a fun roundup full of ideas to use with the old bulbs. I hope you have found this post helpful! Very interesting. I remember that light bulb at the Davidson’s house, but I didn’t know what it was called. It lasted a very, very long time though very dim at the end. Dad left it up for some time just to see how long it would burn. I have an Edison on my front porch, too. It just burnt out. So many great ideas!! I need to replace the old school ones in our bathroom, thank you for the options!